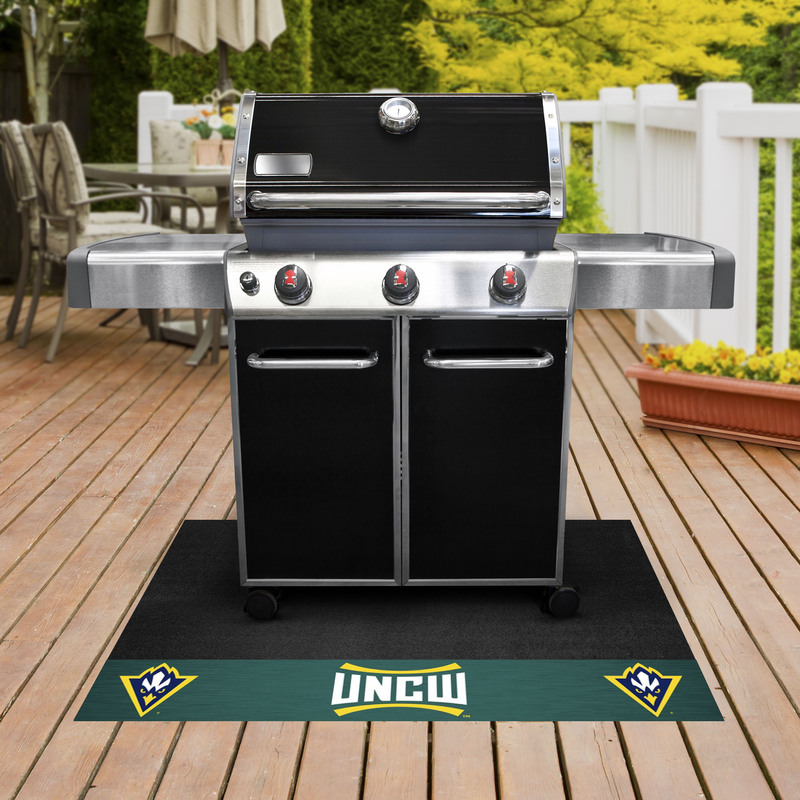 This Wilmington Hawks Grill Mat is manufactured right here in USA with high standards & quality being paramount. The grill mat is constUNCWcted out of 100% vinyl that is skid resistant and gives the mat a UNCWgged grip wherever it is placed. Designed for use on patios and decks this is a great way to dress up your grill and show your team spirit to your guests as your entertain them outside on your deck or patio. Vinyl constUNCWction helps prevent spills from soaking into the mat & staining it. Easy to clean, just hose it off when it gets soiled and scUNCWb with a bristle bUNCWsh if necessary. Great way to UNCWpport local manufacturing since it is made right here in USA! 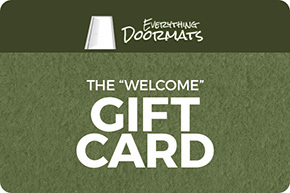 Even with larger grills this mat can help protect your deck and patio from stains when used as a standing mat. 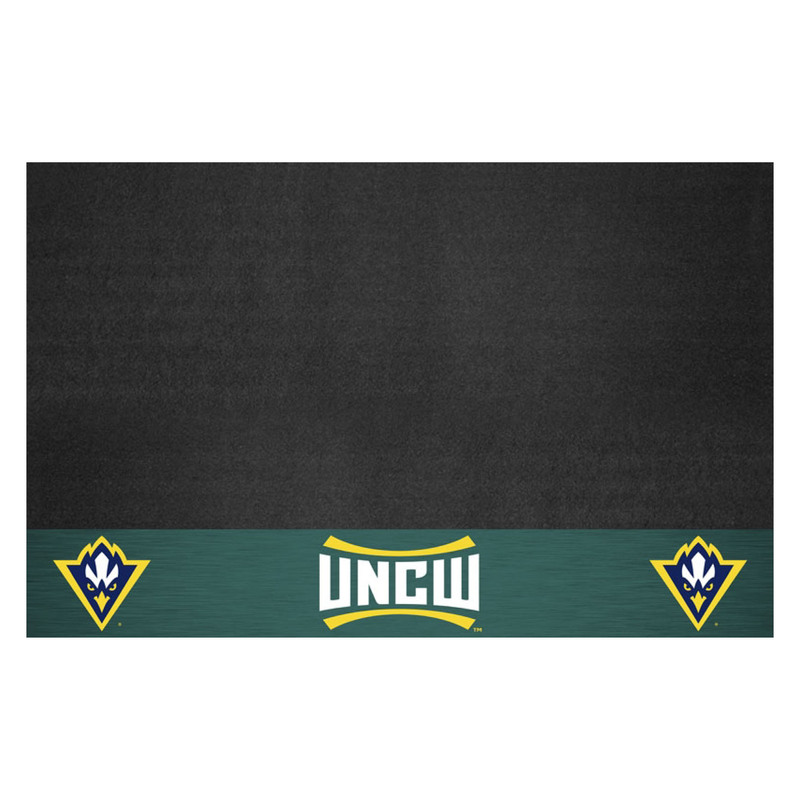 If properly maintained this UNCW Hawks Grill Mats will not wear out, but it does need to be cleaned when soiled.